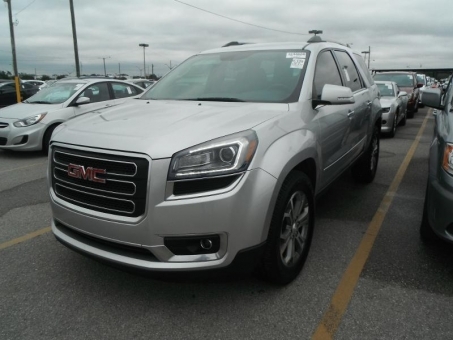 2015 GMC ACADIA SLT! Clean CarFax! One Owner! Runs and Drives excellent! Air Bag - Side Curtain, Air Conditioning, Airbags, Alloy, Wheels, Cruise Control, Dual Climate Control, Heated Seats, Power Brakes, Power, Door Locks, Power Mirrors, Power Seats, Power Steering, Power Windows, Rear, Window Defroster, Telescopic Wheel, Tinted Glass and more.